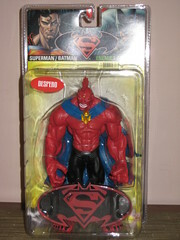 When DC Direct produces a figure like the Despero from the new Superman / Batman Wave 6 Jillion, it really makes you realise how much dross they're putting out these days. Not that we need too much reinforcement of that fact. I might have considered the Green Lantern from this line but the "holographic" GL logo doesn't appear to come off. 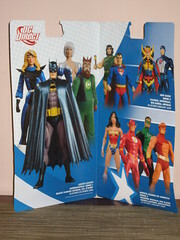 I may have a look at it, but I'll wait to see what the GL box set looks like this week before deciding. Not surprisingly, the Superman, Batman and GL figures are all pegwarming at my local shops while the Desperos are long gone. While I'd much prefer a FA Despero figure (maybe some day as a single? 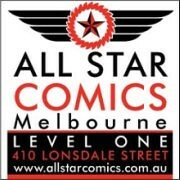 Probably a DCUC one.) rather than the seriously roided-up look, this is an impressive figure. He's around the size of the GL Kilowog and cuts an imposing silhouette with his huge arms. Takes a little bit of posing to get him standing upright, but he's basically very sturdy on his feet. The paint apps on mine are very smooth. The head is a bit smallish but the facial grimace is suitably menacing. 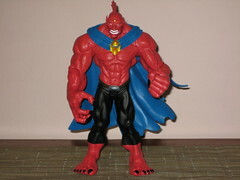 I don't have a lot of comic book appearances of this version of Despero, but I'm sure I've seen him sans the black pants? I'm still really loving the packaging of the new DCD singles - especially the promo shots of upcoming waves on the fold-out inside. I just wish they'd make the sheet a bit more sturdy as it's hard to get out of the pack without tearing. So just the one sale for me from this wave, but a very happy one. 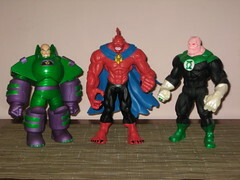 Also happy as it takes the pressure off my collection of DCUC Wave 4 (which is story for a later day) as I'm not wild about their version of Despero presented in the Collect & Connect for that wave.